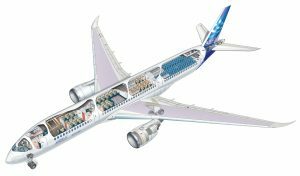 NTS has been selected by Rockwell Collins to provide Mechanical and Automated Test Equipment for an integrated system that will be provided by Rockwell Collins for the Airbus A350 XWB program. The NTS equipment will be used to test the A350 XWB Trimmable Horizontal Stabilizer Actuator (THSA), a system located in the horizontal tail of the aircraft that is used to aerodynamically balance the aircraft for optimum and efficient flight. The work will be performed at NTS’ Albuquerque facility. 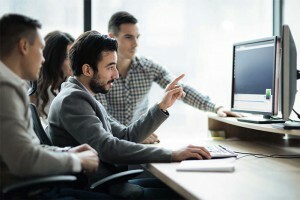 The award by Rockwell Collins marks another significant contract win for NTS in the aviation equipment testing and engineering market, which is rapidly expanding for companies like NTS because many of the world’s largest aerospace companies are now outsourcing these programs. To serve this new and increasingly important market, NTS has expanded its geographic footprint and its testing and engineering capabilities, noted NTS President and CEO William C. McGinnis. NTS is currently working on approximately $4 million in recently-signed similar contracts with other major aerospace companies at its Albuquerque and Rockford, IL, facilities. 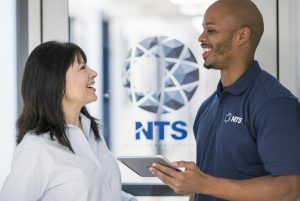 At the NTS Rockford facility, for example, the Company has won a contract from a large aviation company to design and build an iron bird test wing simulation “slats and flaps” system. The Albuquerque project includes designing and fabricating specialized equipment and a custom test stand rig that will perform tests to simulate the environment and reproduce the loads the actuator will experience in service. Once complete, the test stands will be used to perform the acceptance test performed on every production THSA to ensure it will properly perform when installed on the aircraft. 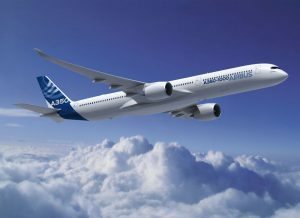 National Technical Systems is well-versed in the Rockwell Collins A350 XWB program. Prior to this test stand project, NTS performed environmental and dynamic testing for safety of flight.